IDEX Legal announced the winners of the seventh annual IDEX Legal Awards held in Mumbai at The St. Regis Hotel on April 13th 2018. 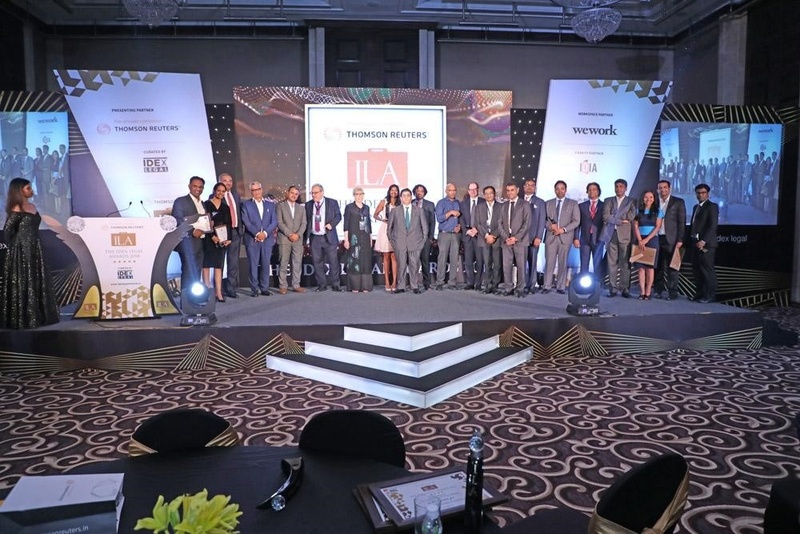 Attended by over 250 senior lawyers from in-house and law firms, the awards night was a stand out celebratory affair for the legal community in India. The IDEX Legal Awards rewards best practice and celebrates excellence amongst in-house counsel and law firms whilst operating in a turbulent business environment. The ILAs is recognised for its unstinting impartiality with awards earned by sheer demonstration of hard work over the course of year as judged by one of the finest jury panels in the region who look to honouring meritocracy and quality above all else making it the the most coveted and bona fide awards in the industry and one of the toughest to win anywhere. With 20 categories across in-house and law firms along with 3 jury nominated categories, the awards saw record-breaking entries with almost 200 submissions from in-house counsel and law firms doubling the previous years entries. This year our jury panel led by jury chairman Mysore Prasanna alongside Anubhav Kapoor, Anupam Sharan, Baron Armah Kwatreng, Deepa Baburaj, Erwan Carpentier, Jonathan Middleburgh, Navneet Hrishikesan,Pramod Rao, Rajeev Uberoi, Umakanth Varottil, Vijaya Sampath, Vivek Mittal and Valerie Bowles, had their toughest time separating the entries as the submissions were of the highest quality ever and at times there was little to split the winners. It was a hattrick for TRA who bagged three major awards, Social Impact Initiative Of The Year, Best Legal Advisor To Start-Up Businesses and Young Achiever Under 35. General Counsel of the Year was awarded to Sandeep Kapoor, Sequoia Capital and the Best Law Firm of the Year Domestic award went to Link Legal India Law Services. Building on our charity initiative, IDEX continued their partnership with legal charity IDIA and raised donations to the tune of almost 10 lacs through a fundraising dinner which will go to to empowering underprivileged students through legal education. Auction items included artworks by Akbar Padamsee, Francis Souza, Zarina Hashmi curated by IDEX’s Auction Partner Prinseps, and a special painting by Mr. Paresh Maity and Rajiv Luthra, 2 books from the personal library of one the most famous poet , lyricist and screenwriters Mr Javed Akhtar and 2 books written by the famous film director and composer Mr Vishal Bharadwaj.